Today the brand offers unique and vibrant designs across shoes, accessories, ready-to-wear and eyewear. Australia’s love affair with Bally is reciprocated with a brand new store in Melbourne this November, extending the brands presence in the city to three retail doors. The 200 square-metre store within Chadstone’s luxury shopping hub in the heart of Victoria, is positioned on the corner of a busy intersection, increasing Bally’s visibility from every angle. Excitingly, the store at Chadstone is the first to present the newly revised store concept, collaboratively developed by Bally’s design and creative committee to establish the brand’s authentic new direction. The striking façade has been designed with Bally’s iconic red marble columns that complement the brass framed windows, which in turn open up the store to the outside. With two separate entrances either side of the corner store, the space is organised in to two large sections, giving priority to Bally’s accessories and shoes, which are the core of the brand. comfortable setting to try shoes. 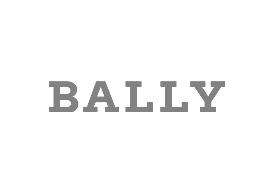 Offering the full Bally vision, the store will also present ready to wear and scarves, located to the right of the cash desk area in the centre of the store. The Chadstone store completes a portfolio of eight retail stores in Australia.